The collection of Maaji swimwear combines high-fashion and innovation, making runway designs available to the mainstream public. For more than ten years, Maaji has been creating distinctive swimwear for women who enjoy experimenting with styles. 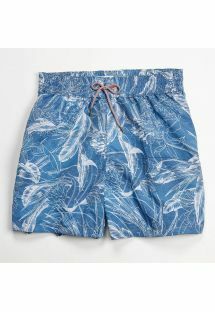 The latest collection of swimwear is loaded with bold tones, eye-catching movement and avant-garde cuts. Designers at Maaji pay close attention to detail, providing high-quality, diverse, chic and trendy products. The end result is a unique line that is just the right combination of color, texture and contour. This Colombian-based company creates every piece with care, giving Maaji the edge in women’s fashion. All Maaji swimsuits are fully reversible! Flip them inside out for a second look.